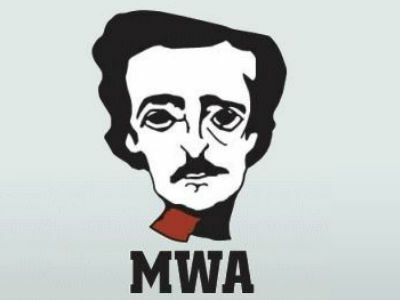 Mystery Writers of America announced on 22nd January 2019 the Nominees for the 2019 Edgar Allan Poe Awards, honoring the best in mystery fiction, non-fiction and television published or produced in 2018. The Edgar® Awards will be presented to the winners on April 25, 2019 at the Grand Hyatt Hotel, New York City. AGATHA CHRISTIE: A Mysterious Life by Laura Thompson is published by Head of Zeus in the UK and Pegasus Books in the USA. The book was shortlisted in the category ‘Best Critical / Biographical’. It has been one hundred years since Agatha Christie wrote her first novel and created the formidable Hercule Poirot. A brilliant and award winning biographer, Laura Thompson now turns her sharp eye to Agatha Christie. Arguably the greatest crime writer in the world, Christie’s books still sell over four million copies each year―more than thirty years after her death―and it shows no signs of slowing. But who was the woman behind these mystifying, yet eternally pleasing, puzzlers? Thompson reveals the Edwardian world in which Christie grew up, explores her relationships, including those with her two husbands and daughter, and investigates the many mysteries still surrounding Christie’s life, most notably, her eleven-day disappearance in 1926. Agatha Christie is as mysterious as the stories she penned, and writing about her is a detection job in itself. With unprecedented access to all of Christie’s letters, papers, and notebooks, as well as fresh and insightful interviews with her grandson, daughter, son-in-law and their living relations, Thompson is able to unravel not only the detailed workings of Christie’s detective fiction, but the truth behind this mysterious woman. For the full list of 2019 Edgar® Awards nominees click here.